County Westmeath is one of the smaller counties in Ireland. 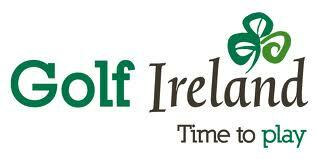 The principal towns are Mullingar and Athlone both of which have fine golf courses. Athlone is one of our principal accommodation bases - a strategically important town on the River Shannon on the southern entrance to Lough Ree. Athlone is in the very centre of Ireland (the actual point is reputed to be in the lake just offshore from Athlone golf club). One of the main attractions in Athlone is Seans Bar, once known as the Three Blackamoor Heads and the first licensed premised in Ireland. As well as Athlone golf course, Glasson Golf & Country Club is on the opposite side of the lake and is a fine championship test. Further afield there are mature parkland courses at Mullingar, Tullamore and Portumna while the newer Esker Hills course outside Tullamore is our favourite parklans course in Ireland. See also our region guide to midland Irelandor visit the official County Westmeath tourism website .